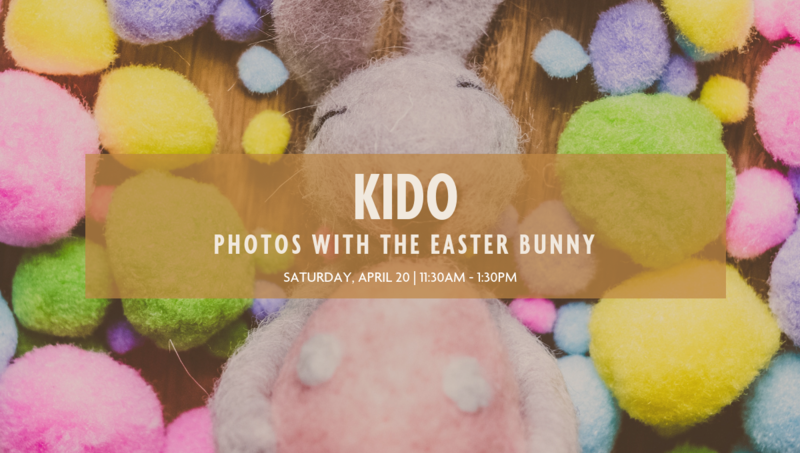 We will have a special guest in the Kido store Easter Weekend! Bring the family and meet THE Easter Bunny! He'll be posing for your personal pictures and available for all of the high fives and hugs your little ones can muster! *Easter Bunny is provided by Happy Kids Chicago! He will take a short break from 12:30 to 12:45pm.